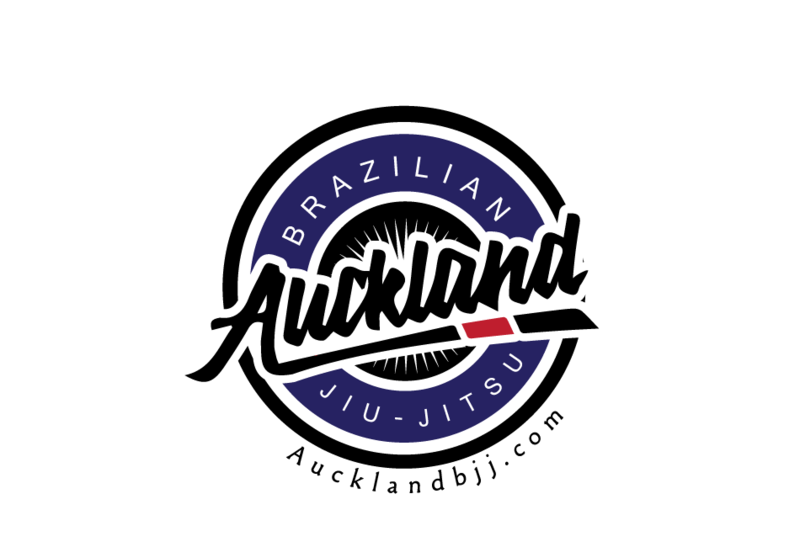 Auckland BJJ: Another fake tradition creeping up in BJJ: OSS! 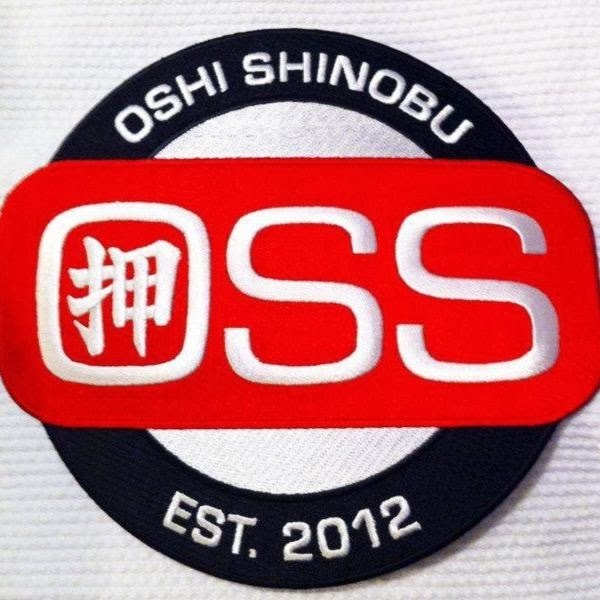 Another fake tradition creeping up in BJJ: OSS! People are now signing their posts with Oss. When it was Karate, I could understand because it is something ingrained in some karate clubs. It is part of the roots for Kyokyshin Karate for example. Sensei said something: you replied Oss. But nowdays, I noticed such tradition has creep into the BJJ world or more like the internet. It is ridiculous to read someone that train BJJ with Oss for its every posts. Why are they copying someone else traditions? Maybe they are looking at getting TUF. 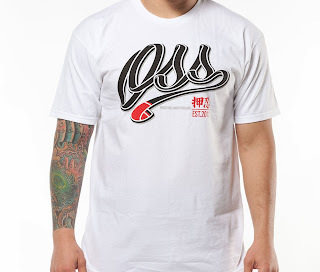 Osu is the one word that you'll hear the most in a Kyokushin dojo or at a Kyokushin tournament. When you enter or leave the dojo, you bow and say "Osu". When you greet a fellow Kyokushin Karateka 空手家, you say "Osu" instead of "hello". When you respond to an instruction or question in class, you say "Osu" instead of "yes" or "I understand". When performing Kihon Waza 基本技 (basic techniques) in class, each technique is often accompanied with a loud "Osu". When practicing Jiyu Kumite 自由組手 (free fighting) in class and your opponent lands a good, hard technique, you say "Osu" to acknowledge your opponent's skill. As a measure of respect, knockdown fighters at a tournament bow and say "Osu" to the front, to the referee and to each other, before and after the fight. Osu is used in many situations and seems to mean a lot of things. But what does it really mean? 忍ぶ Shinobu meaning "to Endure"
It means patience, determination and perseverance. Every time we say "Osu", we remind ourselves of this. Kyokushin training is very demanding. You push yourself until you think you've reached your limit. First your body wants to stop, but your mind keeps pushing you. Then your mind wants to stop, but your spirit keeps you going. You endure the pain. You persevere. That is Osu. Kyokushin karate is not learned overnight. It takes years to properly learn the fundamentals. The basic techniques are performed thousands of times (Renma 錬磨 – "always polishing") until they are done by reflex or instinct, without conscious thought (Mushin 無心 – "no mind"). It's easy to get frustrated by doing the same thing over and over again, especially when progress seems to be slow. To overcome that frustration and continue training takes patience and determination. That is Osu. There is a saying in Japan, "Ishi no ue ni mo sannen" 石の上にも三年. Translated, it means "Three years on a rock." This saying symbolizes the need to persevere at all times. It is one of the most important philosophies in Kyokushin karate. Kyokushin is an art offering many things according to the immediate and long term aims of the trainee. Ultimately, one realizes that transcending the kicks, the punches, and the kata, there is a special spirit in the heart of the participants. It teaches them to face the demands of daily life with a mature and enduring attitude. A Budoka 武道家 is not easily shaken by the blows of adversity, realizing that for a person to draw near to their true potential, a never-say-die spirit of perseverance is required. This strength of character develops in hard training and is known as Osu no Seishin 押忍の精神 (the Spirit of Osu). The word Osu comes from Oshi Shinobu 押し忍ぶ, which means "to persevere whilst being pushed". It implies a willingness to push oneself to the limits of endurance, to persevere under any kind of pressure. Even for the beginner, who is conscious of his lack of training and does not necessarily want to face the demand of training, it is enough merely being aware that through perseverance and the will to continue, there comes great physical, mental, spiritual, and emotional gains. All that is needed is that special determination."